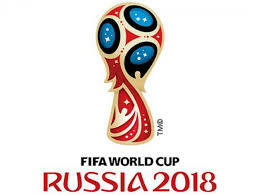 My dear readers, with great anticipation, the Groupings for the 2018 Men’s World Cup* — the most popular sporting event in the world – have been released!!! (See Chart Below). My straight-up gut feeling / guessing! And yes — I DO notice the conspicuous absences of the U.S., as well as historical powerhouses Italy and the Netherlands. But among those who did qualify for the Group stage, so much can happen between now and the start of this once-every-four-year extravaganza (beginning in June), that these predictions could end up being laughable. Then again, I may be proven an “accidental genius.” We can look back at this column next year with a chuckle, amazement, or a little of both. But until then, here we go! Costa Rica – I see this scrappy, tourist-friendly crowd edging out the Swiss for some reason. Senegal — the home country of my favorite international player, Sadio Mane! (former Southampton Saint! ), Can this wizard of the pitch carry Senegal to “household name” status?!? Todd & Andrea Discuss Netflix’s “The Crown” — Season 2! Seriously, Group H, Poland is semi at home and Lewandowski is going to eat this up. Columbia is solid. 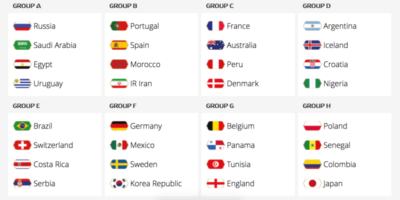 Skipping around, Group E, Ticos are going to get eaten by Switzerland or Serbia, in that order. Group F, Sweden is going to make smorgasburg our Korea and Mexico. Zlatan Ibrahimovic is strong. Make these few correction and this is basically okay. It will be fun to see if Iceland can repeat their improbable Euro performance. I like Japan too. Agree about México. Now that the Yanks are sitting out I’d back them but I don’t think this is the year. I hope Messi can lead Argentina to the title. He’s an absolute magician and I’d like to see him add the ultimate prize to cement his legacy. And I prefer “Mundial” in all references regardless of gender.